The Credit Union 1 Arena (+9,500 seats) hosts concerts, meetings, festivals, civic and cultural events, commencements, circuses, and sporting events such as mixed martial arts, boxing, roller derby, tennis, and basketball (includes professional exhibition, UIC Flames, and high school). Available for rental throughout the year, The Credit Union 1 Arena varied programs target the greater metropolitan Chicago community. The Credit Union 1 Arena is one of the Midwest’s finest arenas. In its brief history, it has hosted many special and one-of-a-kind programs. We’re home to the UIC Flames Men’s & Women’s Basketball program, the Windy City Rollers, and 8 Count Production (Boxing). Event tickets can be purchased from the The Credit Union 1 Arena box office every Thursday and Friday and through Ticketmaster.com. The Credit Union 1 Arena is located at the hub of the major expressways which link downtown with the rest of the city and suburbs. 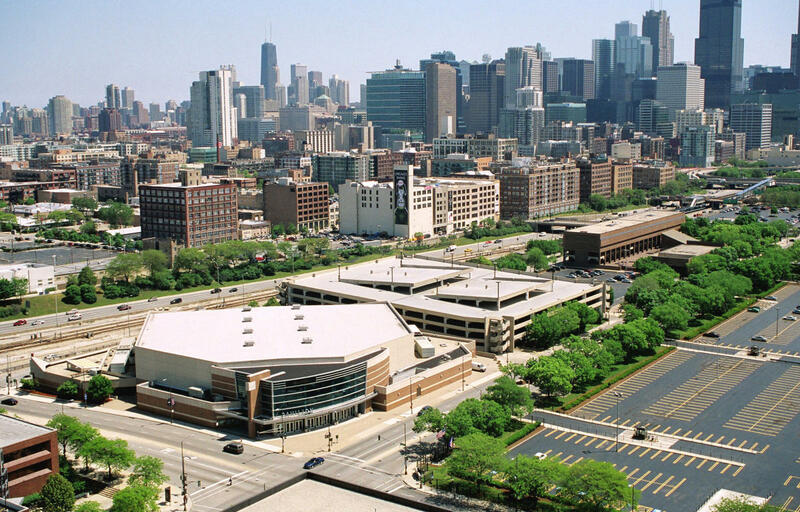 There is ample parking available at and near the UIC Pavilion. Public transportation directly from O’Hare airport, downtown, and all parts of the city will bring you within one-half block of the The Credit Union 1 Arena.